The long awaited Edvard Munch Catalogue Raisonné has now been published, thanks to the collaboration between Faurschou, Kaare Berntsen and Munch-museet. The catalogue, that has taken five years to complete, offers for the first time ever, a complete survey of Edvard Munch’s paintings. 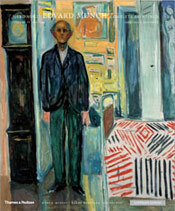 Edvard Munch is acknowledged globally as one of the greatest artists in the Twentieth Century. During his long artistic career, Edvard Munch created approximately 2000 paintings, more than 1100 of which belong to the Munch-museet. The remaining works are included in museums and private collections all over the world. The catalogue is divided into four volumes and contains a chronologic representation of Edvard Munch’s paintings in colour and with matching details. The catalogue is based on the knowledge and research that has been gathered at the Munch-museet over the past 40 years and each volume contains essays by Munch experts. The author and editor is Gerd Woll who has previously written numerous articles and exhibition catalogue texts on Edvard Munch. 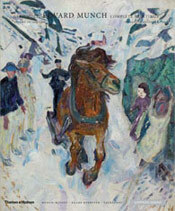 Gerd Woll was the author of the comprehensive catalogue on Munch’s graphic works that was published in 2001. 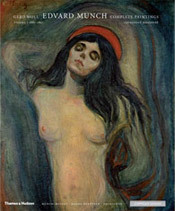 The Catalogue Raisonné serves as an indispensable tool for international research on Edvard Munch's works at museums and universities globally for both art historians and students alike. The catalogue will simultaneously serve as a platform to expand the knowledge of Munch’s work with art interested people in general. 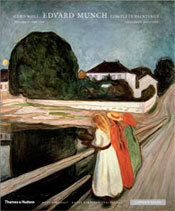 The Edvard Munch Catalogue Raisonné is published in Norwegian by Cappelen Damm and in English by Thames and Hudson.